It is a cliche that has been written about many times but one which has stood the test of time. Valletta is a city built by gentlemen for gentlemen. It is Malta’s capital city with a population of just under 7,000. Known in Malta as il-Belt (the City in English), it is essentially a Baroque city build in the 16th century built just after the Great Siege of Malta when the country was under the rule of the Order of St John. I will give you an insiders guide to Valletta in the coming days. But in the meantime, I will share one cafe which you should not miss when you are in Malta. Practically, every visit by locals to Valletta has to include a stop in one of the many cafes which can be found in this architecturally stunning city. There is however one cafe, which stands above the rest because of its stunning location, tradition and quality and because it has the only coffee counter on the island. This is Cafe Cordina. A walk down Valletta’s main street, Republic Street leads you to this popular cafe which serves probably the best coffee on the island. After you pass the Law Courts, walk another 100 metres. To your right you will see the National Library and in front of you is the President’s Palace and St George’s square. Walking into Republic Street you will find Cafe Cordina just before you reach the palace. It is to your left opposite another landmark, the national library. 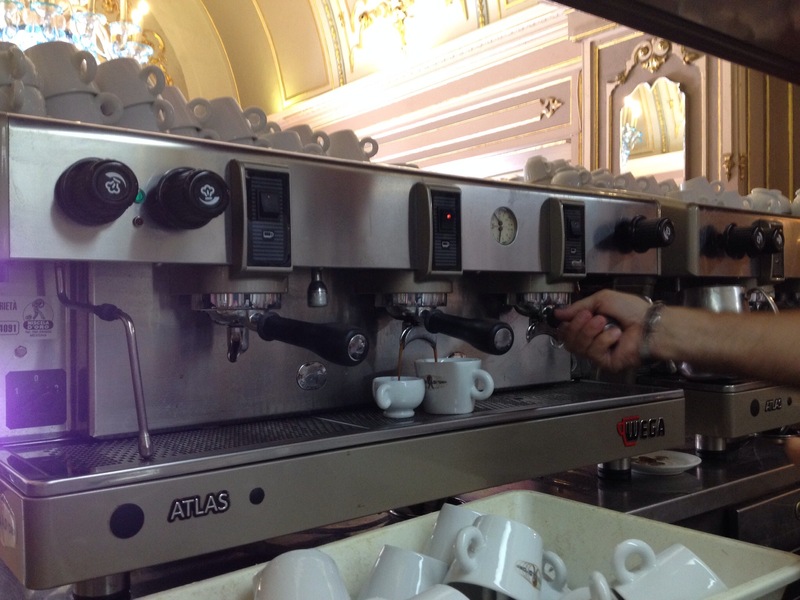 If you are heading to Valletta early in the morning to avoid the crowds, then you can just order an espresso or a cappuccino and stand by the coffee counter (just like in the main cafes in Italy) and watch as the city slowly wakes up and locals enter for a quick coffee before they head to work. Coffees are being prepared constantly and there is a lot of hustle and bustle but this is all part of the fun of the experience. 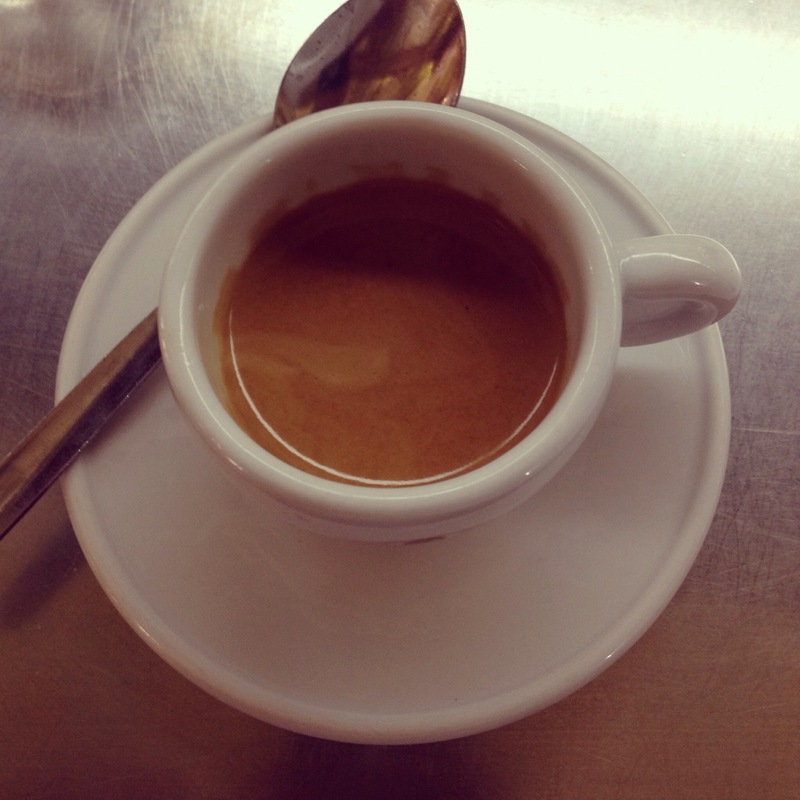 The barista will probably make you the best coffee south of Italy. The cafe has been open on its site since 1944 and since then has grown to comprise tea rooms, a pasticceria, a coffee bar and an ice-cream parlour. 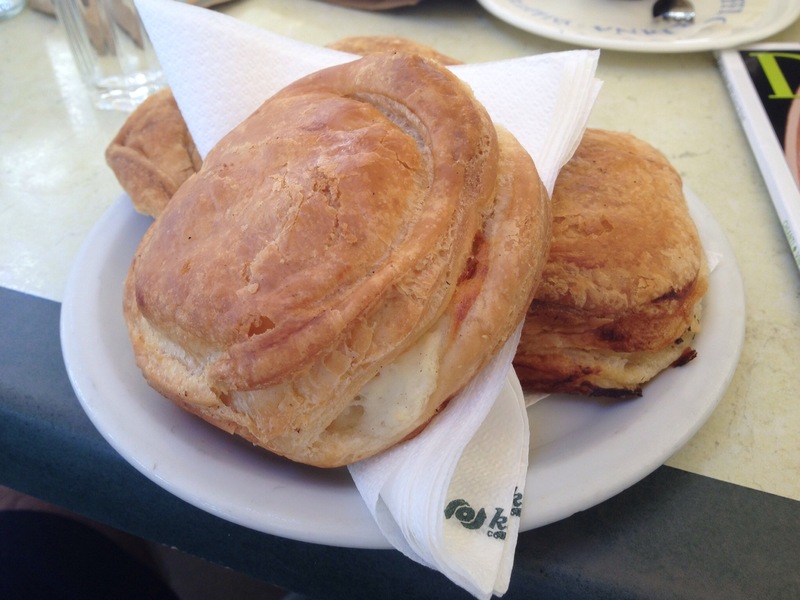 If you have skipped breakfast, or you have decided to stop here after some sight-seeing you can do like the locals and order ‘pastizzi’. These are pastries stuffed with either ricotta or peas. The ones at Cordina are not the same as the ones you find in the many shops selling pastizzi around the island. Nevertheless, they are excellent. People watching at Cafe Cordina is also part of what is on offer. The Cafe has a beautiful terrace in the square in front of the national library. If you stay at the back, you have a view of the National Library. At the front end, you will have a view of the Casino Maltese in front of you (built by the Knights of St John) as the Treasury and on your right the President’s palace also built by the Knights. 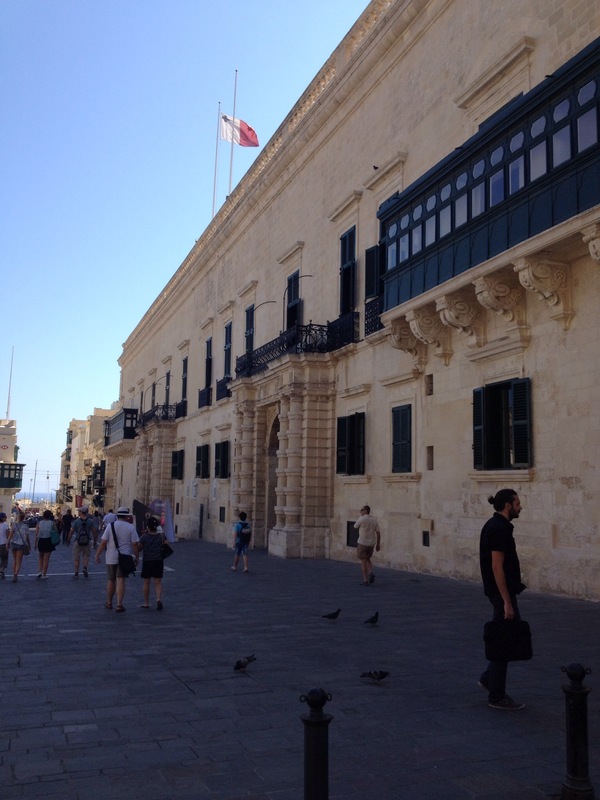 The Presidential Palace in Valletta. Next door to Cafe Cordina. Nice eye opener. I’ve never been to Malta by like all English of my generation, Malta is famous as the George Cross island and I’m au fait with all the derring do of wartime there. It does look wonderful.